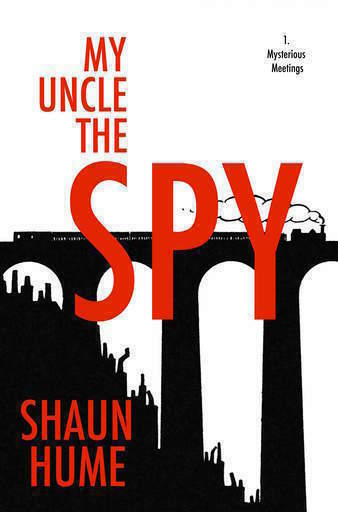 A former Oxford college professor returns to his old home town for a pleasant day out, only to twice cross paths with a strange girl in identical circumstances. When a third meeting occurs he pursues her, and is swept into a mystery of alternate worlds and walking human copies. The mottled scent of salt and vinegar crisps and lightly peppered tomato swirled around the sun slapped train carriage. The ruffling air rushed its way into the compartment like rowdy school kids racing in to beat each other out of the best seat by the window or somewhere ever else about the pews. A flame haired baby waved me past, in a back garden by the tracks, the little one held aloft by grandpa, as I flew by with the rest aboard our packed metal caterpillar, at one hundred miles an hour. I had decided to spend the day in Oxford, my familiar and favourite city. If indeed it could be called that at all, its feel and appearance so much more like that of a petrified country village, or some mythical capital, its medieval tones wonderfully rich and flowing, seeping off seemingly every surface like dripping honeycomb paint. And after all, where else is it more pleasant to spend a mid-spring day than the City of Dreaming Spires? Although, setting off the day felt much more like the middle of summer, a wafting heat lathered onto the day like thick warm syrup. The city had once been my home. But there had been an accident. I’d fallen off my bike while I had been cycling to Christ Church, my college, one morning and ended up with a stint in the hospital. I was lucky, or so they told me. A bump on the head, a few stitches and that was that, back on my feet in no time. But it had been much more than a near miss. It had shaken me, and it was enough of a rattling of my cadge to change my thoughts, realign my priorities, and track my compass onto what more there might be for me out there beyond college life. It was my wakeup call. My second chance. Life had been a typical mix of turmoil and intrepidity (I hoped) up until then, as with anyone I suppose. A combination of relationships, one producing a child, stints here and there but never too far afield. Never too far from my comforting corner office and side street flat. The comfy couch, the nearby pub, the illustrations framed upon the walls, catching just the right amount of dust to make a gentle perusal feel like a window into a simple life. But after the accident I pushed out the boat. After so many years of pleasant regularity I hitched up my pack upon my shoulders and flew into the opposite of my rounded and delightful world. I moved to London. At first it was a scary dream, a swilling bowl of ingredients which all took their own individual times to digest. After that it became home, and I celebrated the gifts it gave me of which Oxford could not. The light, the rush, the feeling of enveloping oneself within a fold so thick and running with colours that it didn’t matter if you failed, again and again. It didn’t matter who you are or were or could possibly be. Everyone in London was on a reset, or so it seemed to me. They had all been drawn there, like dirty fridge magnets slipping down the fridge door. Soon though, contemplations of wist aside, I was alighting at the station of my destination. The ever hungry ticket machine gobbling up my pass, I then set out into the street and a familiar comfortability swept over me that I was both expecting and hoping for. I took it in with open arms, the town a dear old friend, and had been an instant love of mine the first moment I had set foot among its ancient midst and rumbling cobbled streets, what now amounts to many years ago. I made my way as if on autopilot along the same track as I had worn down many times before, taking me towards Christ Church Meadow, and then along the paths that follow the edge of the Meadow itself. I cut through a few other parks and streets and cemeteries before sidling up Parks Road and past the Museum of Natural History. I looked down at my dusty shoes, a long dry spell in the Shire responsible for this untidy possibility. I shook them around a little under my eyes to no avail. I cast my own pupils back onto my path when I saw her. That girl … the girl in the blue shoes. Thin and sharp she walked along, taking no heed of me at all. She was a woman to be more accurate, long legs in navy tights and a cardigan to match her footwear in style and colour too. I took no hesitation to mind and instantly crossed the street and walked along behind her. She was pretty, no doubt, but all girls are. She was walking but not talking, not waving nor in discussion with anyone. But she looked like she was. She didn’t look right. I don’t mean that she was unhinged or strange or anything of that nature, by far she was a comely example of a girl of the times. But she didn’t look right. Like each town and city street, each park and house is a painting, and she had just walked into the wrong one. No hoe in hand to tend the crop, no scythe of steel to harvest the wheat. What’s more, I didn’t see her approach from any direction. But then again I didn’t notice her until she walked across my eye line, like a swan gliding across a pond, more than likely already there long before you had first lay gaze upon them, even though no splash of arrival had before met your sight. I dropped my pace and watched her walk a different way than the one my own compass had as heading, and that was that, she was gone. Lost to the winds, and the rest of my day was laid ahead of me. The sun did me well from then on, and stayed around without obstacle. I spent a few pleasant hours catching up with old haunts and enjoying the company of familiar sites as I soaked up as much vitamin D as possible. As the golden orb crept closer towards its earthen bed I made moves to head back towards the train station. I walked back along the same path on which I had come, making only a few minor detours, when suddenly there was something as if in a dream. Again The Girl in the Blue Shoes, passing as if she were told to do so, set on a course by another force. Was that a look in her eye? Did she have the exact same expression as she did on her pass of me hours before? This time going in the other direction, on the other side of the street? A mirror image? Evidence of the forgery may be in the second occurrence itself. It does not exist because it does. Something is happening, I can sense it, I can taste it in the air. And this isn’t any idle paranoia, it can’t be. Paranoia is never idle anyway. Something has been done, some switch has been flicked, and it’s up to me to find out why. I knew that there and then, not a jot of self doubt did I have in that lightning prophesy, so much so had it sliced, clean and sharp at me right then. The Girl in the Blue Shoes had been their undoing. She and her presence would lead me to it all. I clocked her again, but with careful eye now gleaming from my sockets. I rested my blood and bones for a moment, taking a spot on a wall opposite the position she was approaching, the low slung stone structure bordering the outside line of the Natural History Museum. She floated along, I fancied, with similarities within her movements this time that could never be dismissed as coincidence or commonality. They were not identical in technician, I didn’t think, but in feeling and flight. She carried on her way, but this occasion I watched her progress further along the street, the length she went until a building corner blocked my view. I thought at once about following her progress, but next moment dismissed it as folly, some grasp of realism, reality fetching me. For now at least. Good description, nice and curious text. Enveloped in the whole journey back to my meagre flat in the smouldering smog of the city, all I could keep on the walls of my mind was The Girl in the Blue Shoes. Nothing else was allowed passage as I turned over the dual encounter, over and over again, a twisting thought reoccurring as much as it spun. An endless snake devouring its own tail, the unbroken chain of strangling thought. I was mostly trying to extract extra cues from the first time I had come across her. This was when I was paying the least amount of attention and, therefore, the moment I had absorbed the most information. The second time I was locked in. However, the worrying matter on both accounts was that I had no clear memory of where she went after I had seen her. Asked point blank now, I could not even recall the direction in which she was headed. I think I had the mind to follow her the first time, an almost magnetic pull tugging at my inner parts. But it was as if she didn’t properly register on my mind’s compass until we had passed and she was gone. A flower the brightest in memory, not initial meeting. I sat on my sofa for hours, slumped there like a spent cartridge, the city howling outside my window, a solitary light turned on in my flat and in my mind. She wasn’t meant to be there, I was sure of it, someone had put her there. But how? And what exactly I meant by ‘put’ was lost on my forethoughts also. How was someone that was seemingly there, not there? There was, however, one bleeding fact for certain – I was determined to find out. It would be a simple matter of time. Books were thrown off of shelves and papers strewn across the floor in the ensuing night-time hours. 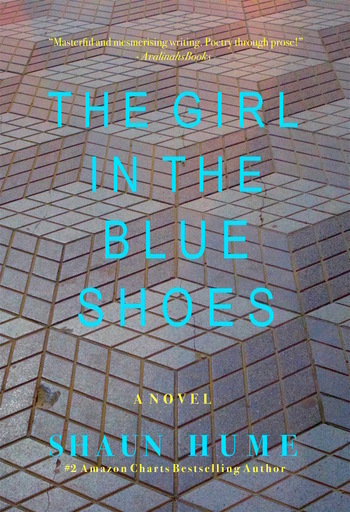 I scoured and scrubbed the words I had on paper almost to a sparkling shine, such was the rapidity and intensity that I read and then reread anything I had on any subject which I thought could bring me somehow closer to solving the puzzle of The Girl in the Blue Shoes. Not yet knowing the full complexities of the quandary in question was the most significant bulwark, and I tried my best to let my mind wander through the printed, and in some cases handwritten, words, somehow hoping that a connection might be forged along the journey. I awoke the next day in a crumpled mess on the sofa, somehow managing to find sleep though a forest of blue shoe wearing girls that I fell into in the late predawn hours. The sun was up again and had transformed itself into a thin golden spike that pierced into my living room like a spear of some long fabled ancient hero. I gave current regular engagements a feeble excuse and was off again on the earliest train manageable for the City of Dreaming Spires. The growing day was warm again and it felt like the same twenty-four hours as yesterday. I wondered if it really was today at all, or just another repeat of my crossing paths with The Girl in the Blue Shoes. Back in Oxford the perfumed wind was floating up in invisible spirals that were only noticeable in the flutter of a dress or the shuffle of bright emerald leaves on the trees. I took no time in heading straight for the place where I had first seen The Girl in the Blue Shoes. I picked an adequate wall space, and sat, on the very same stone that I had rested on and mulled over my second encounter yesterday, my eyes now clean and sharp on the road and paths on either side of it. The stone of the wall was already warm with the stored heat from the morning sun, and as I sat upon it I felt a surprising lack of anticipation. The air was dusty again but calm, trying its best to lull me into an early midday slumberous attitude. But I stretched and blinked and harkened my thoughts. I sat on the wall like a low set grotesque, not as sharp or untoward in appearance, but just as still and stone-like in behaviour. I met a gentleman some years ago who had told me that the grotesques actually come to life. Although never to be mistaken for gargoyles, grotesques, while similar in appearance to gargoyles are not so in function. The latter being used to drain rainwater from rooftops, the former set in place merely as a strange and macabre type of decoration, like those that adorn so many of the colleges and other buildings in Oxford. The gentleman had assured me these stone carvings took great thrill in springing from their frozen sleep at night to then crawl all along the rooftops. The wicked creatures, said he, straining in anguished frustration to reach all of those walking below, for those stony monsters can never set foot off of their lofty and tiled homes. Now I’m sure, for the fount of a belief like this, you are picturing a wandering homeless codger as the one who spun me this tale. But in truth, the man of this peculiar, peculiar to you and I of course, hypothesis is a stately and regular looking human being with a nice home in leafy suburbs. He’s also quite a well respected professor at one of the town’s top colleges too. And to cap it off he is one of my oldest friends and trusted mentor. It just goes to show you, I remember countless times thinking, sometimes that which would appear as madness to us may yet be the wisdom of another. Despite these side thoughts of spindly clawed and sharpened toothed creatures, I held fast to my post on the wall, and the time did pass as it always had, with a trickle, a murmur of each second promising into the next. A noisy motorcycle with a surely sweltering man in black on its saddle; a little girl in pink leaning out from her pram to see what I was as her father strolled her by; an American accent twanging from a pale looking male; a salt and vinegar crisp packet in full flight; all these things passed me, but not The Girl in the Blue Shoes. I had not allowed myself the encumbrance of doubt, but for this, for only this, there was no need. I would wait. Whatever it took I would wait. But, provisions! The only particularity I had let slip … Amidst my single-mindedness had fallen asunder the thought of sustenance. No food, nor drink or even a stray biscuit did I have on my person to keep my mind from slipping and my stomach from rumbling. But should I risk it? To leap to somewhere close and grab a morsel, a drop, a piece? No, I could not. The time I left my post would be the time The Girl in the Blue Shoes would make her move. And I was keener to catch another glimpse of her than I was to stave off a few hours of hunger. So I held my place, and fought off thirst among other things, as small tasks they were, matched with my keenness now rapidly swaying to desire to see The Girl in the Blue Shoes drift by me again. The last rays of the day were curling towards the western horizon, and my shiny resolve was beginning to show scratches, when suddenly something made me turn my chin. The human traffic had thinned to a gentle hum, and cloths of white vapour trundled on along the sky. I kept my eyes where they had been told to point, and sure enough, around the corner she walked. Imagine, if you will, the single most intense feeling you have encountered. Whether your life has yet been short or long, that remembered feeling will be a significant one. Not least because it was the one you chose, but because it was the one that you remembered. And most likely the moment you have chosen is the first you thought of. Now multiply that feeling by any number you can think of, and then you will touch on a similar revelation as the one which thundered through me when The Girl in the Blue Shoes for the third time crossed my path. The near space directly in front of both my physical and mental self was breached. It were as though my body was made of rubber, the casing for a many millions of tiny things. When she passed me by that thrice of times, then hands were set about their work to twist me over, through and up, so tightly until even the innumerable of tiny things were fearful they would shatter and break. Just as this arrow point of feeling was reached, the hands all let go in a symphony of cohesion. My body was released from its tightened knot, the reaction of my bound rubber self immense, Newton’s idea thrown asunder as the reaction was not equal to the action but doubled a thousand fold, the tiny things cast out like rockets in every direction and speed imaginable. The minuscule pieces of myself all collided with every inch of the atmosphere and environment in different and scintillating ways. I felt as if I had been told everything about the universe and nothing about my own self, all at once, completely aware and totally ignorant simultaneously. She was moving away from me, The Girl in the Blue Shoes, and the corners of my vision stretched, the edges blurred, and she was pulling Time itself away from me. Away from everyone else, and the colour began to fade away, the only light there was now casting down onto her, a rolling moon, filled with the brightness of the day elsewhere, all others painted in black. I had to catch her this time. There would be no getting away today. I crossed the street without looking anywhere but at her heels. There was naught time but that to keep my vision on my target, a lorry screeching to a halt barely an arms length from my heart. But still I wasn’t swayed, slapping my shoes onto the laid stone and darting down the quieter Keble Road. A dull orangey brown glow was filtering along the borders of my sight. My vision now had zero more room for anything but those thin blue shoes, and the curtly shuffling feet within them. I snatched more and more of her pace, stealing the ground that existed between us, the calm concrete waters that stood as barrier being cut and chomped away, twenty steps of separation turning into fifteen, then ten, then five. I fancy she was in such a state of elevated retreat that she didn’t hear me approach until I was quite close. But I was sure she could hear me, and no fretting did she display but instead still held her course, even slowing her pace a slight, as if she were ready to make a move against me. This change brought the sun back into play, my senses widening again, and this new waft of unpredictability slowed my own mind as it felt its way around the shifting landscape, in order to make a new plan for what should come next. But what was I prepared to do? What was I prepared to say? What possible excuse could I give for following a young woman along a quiet street with such determination and vigour? As quick as the dusty gale, The Girl in the Blue Shoes rounded on a sharp heel, her eyebrows diving towards one another, and she aimed herself at me. ‘Why are you following me?’ demanded The Girl in the Blue Shoes. Her bravado had me taken aback. She stared me down with russet eyes, the two of them seeming to have points, like a pair of rusty knives. I exclaimed, alone in my head, that this was clearly not the same girl I had seen two times previously. Yet it was. All of the physical characteristics were there. But it was not her appearance that didn’t match, it was something else. She didn’t feel the same. This girl before me did belong where she now stood. The girl I had seen twice before had not. It was an intricate thing to explain, the way the previous Girl had moved like she was a beat off everyone else in the street, the demeanour she had projected then of gazing unseeing at everything she passed. Despite the discrepancies, they were both indelibly connected, and my pursuance of this one would definitely lead me toward the existence of the other. There was no room in my mind, the swimming mess it now seemed, to think anything else. ‘What is your purpose here?’ I said with such conviction that I feel I may have frightened her for the mere moment it took this Girl to take a step back, her shoulders then drawn up, her chin aimed at my chest. ‘Are you sure you have any vocal chords to do such a thing?’ I offered as lightening in response, surprising even my own thoughts of wit and quickness of word. Here The Girl in the Blue Shoes seemed frozen as if an ice sculpture, her eyes filling with a glaze that no longer showed confusion but clarity, and some fear began to ebb in from her high cheeks. This struck me like a steel spoon on finest China, the reaction of someone who had heard perfectly well what I had said, and what’s more, understood its seemingly bizarre and cryptic meaning. I told her as much and she hastened to breathe an utterance further. ‘Who are you working for?’ she finally said, and although vehemently cliché, was neither a surprising nor strange reaction to me this time. A rather cantankerous slash of sentences as I had heaved at her was more than likely to inspire a faithless answer, an unfavourable attitude and flight. But so confident was I in my suppositions that it stoked the coals in my belly, the ensuing flames rising high to meet the back of my throat, a sharp hotness lighting my insides and spurring me along. At this point she gave a single but slight look over her shoulder, before then squaring the sharp pair of those peepers onto me, her darkened pupils shining with an eerie glaze. As though they had just been freshly painted onto her face. I did no more than to nod conspiratorially in agreement and she left me then and there, her navy steps soon a far off blue dot on the grey pavement, and once again, out of my sights. It had been like a dream. All of a sudden, like a tornado touching ground in an instant and causing the deadliest of damage, I had seemingly just found the connection I had been looking for, and the promise of more to come in less than a day. I thought of going to a park and taking a load off, but I was much too excited to sit and wait. I would be useless, perched on the edge of some polished timber bench, twiddling my fingers as I counted the seconds until the meeting that was sure to put a blinding light on it all, the veil that I had seen freely floating in front of my eyes now swiftly cast aside. As the baking orange light of late day passed over into indigo dusk, and then bluing night crept close towards me, I thought of practical things. My day had been so filled with crackling anticipation paired with dogged determination, and my mind had in truth flowed through much darker and mystical valleys than I have relayed to you here. It moves in wicked ways, on occasion, of beats and flows which the world, this one we speak of, is made and ruled by. But elsewhere it can wander, across lands of unspeakable ruin and intricacy. But practicality was what I needed now, to calm my bones if nothing else. I set my memory, and then my feet, towards the train station once again, reluctant as I was to leave Oxford when all was oscillating around it, and me. What if The Girl in the Blue Shoes was to take flight? What if she had put word to her conspirators? I didn’t see that my predicament held much choice in the matter, so back again to London Town I sped. The hours that passed were ones of exhaustion and blurs, a subconscious preparation for what was to come. Before I had any firm grip back onto my most delicate of thoughts, I was back in the ancient university town once again, and ready for what this new day would hold. I paced the streets like a newborn, the day opening up as soft light greeted the streets. As the time came around and the event of my meeting with The Girl in the Blue Shoes approached, I had a quick dilemma with myself about whether to be early or late. In the end I settled with early, there then being no possibility, I hoped, of risking the loss of my only significant lead. I had bested her secret, but now was no time to play smug. Despite this, I was riding on a strengthened wave, all but certain that I even now knew enough to put pay to whatever The Girl in the Blue Shoes was up to. I like what I've read so far. nothing wrong with it a good editor couldn't fix (eg erroneous use of subjunctive mood). but intriguing, lots of promise. Stanley Rue, a self admitted psychiatric patient, tries to convince others within his new hospital home to help protect his as yet unborn daughter when she is 11 years old. 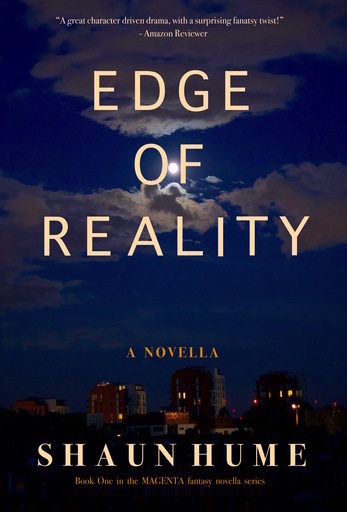 Doctor Vivian Eldridge, a newly qualified psychiatrist, tries to come to terms with her new life, and her new patient, a man in his mid-twenties named Stanley who claims he can see into the future. Ewan Pendle was weird. Really weird. At least, that's what everyone told him. Then again, being able to see monsters that no one else could wasn't exactly normal ... 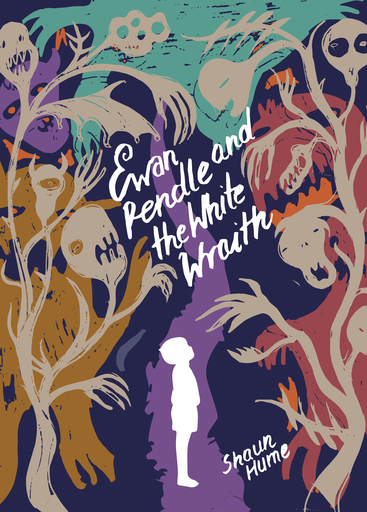 Thinking he has been moved off to live with his eleventh foster family, Ewan is instead told he is a Lenitnes, one of an ancient race of peoples who can alone see the real 'Creatures' which inhabit the earth. He is taken in by Enola, the mysterious sword carrying Grand Master of Firedrake Lyceum, a labyrinth of halls and rooms in the middle of London where other children, just like Ewan, go to learn the ways of the Creatures.